Canada Day has always been one of "those things" that gets on my nerves aesthetically. I ranted about it in the early days of the blog, and it is apparently an opinion that hasn't changed. While I won't be doing anything as elaborate as I did a few years back, I still had fun designing some free party printables for all of you. It has been awhile since I shared something fun with all of you, so this seemed like a great occasion to show some love! 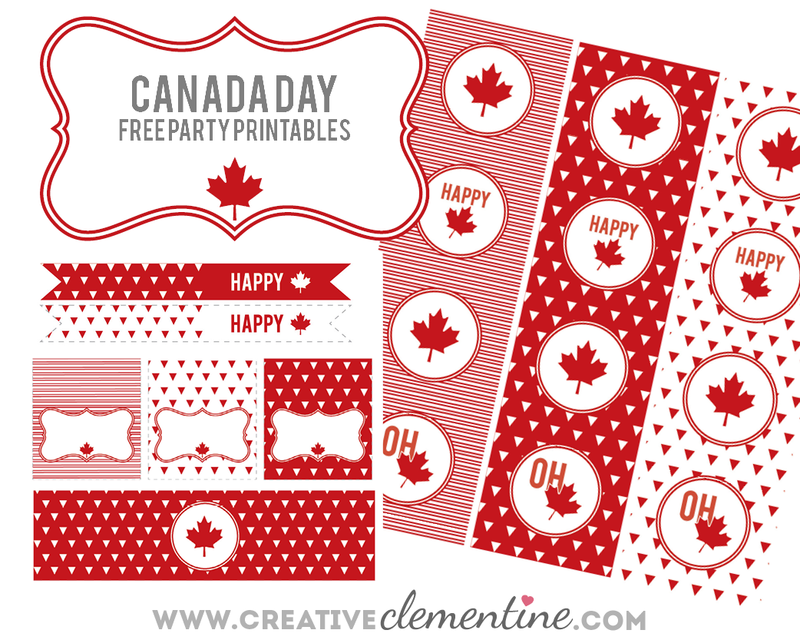 The printables are simple, monochromatic and super easy to use. Just download and enjoy!